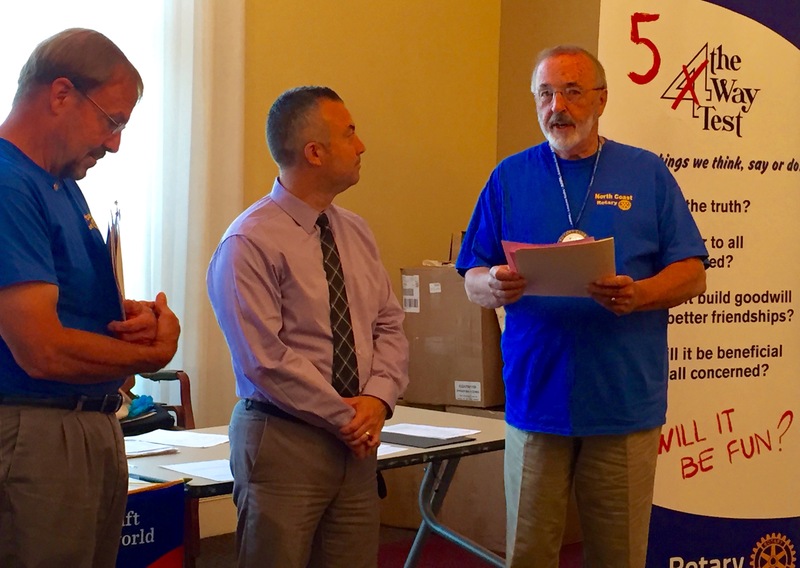 The North Coast Rotary Club inducted their first new member of the Rotary year. Louie had been following the activities of the club for months while he considered membership. Louie brings a passion for serving youth to the club as well as his financial investment expertise from his work with Edward Jones Investments. Rotarians Tom Porter and Doug Maurer conducted the ceremony.